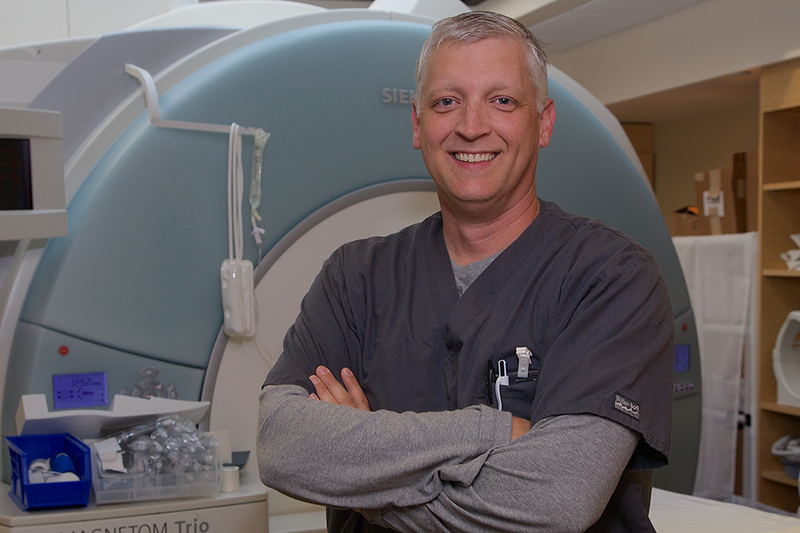 Donald Langley has been a Clinical Instructor for the Medical Imaging Program for six years and really enjoys instructing medical imaging students in magnetic resonance imaging (MRI). Donald graduated from Emory University School of Medicine’s Program in Radiologic Technology in 1996 with his Associate of Medical Science degree in Diagnostic Radiology and completed his certificate in MRI in 1997. He has worked as an MRI technologist for 18 years at Emory University Hospital and is a Level 4 MRI Technologist with “supervisor roles”. When the supervisor is either absent or away from the main radiology area he is responsible for stepping in. Donald is also responsible for training new hires and controlling patient flow. He works mostly in troubleshooting and coordinating the exam schedule. Donald explained, “I coordinate to get the procedures done.” Outside of work, Donald enjoys spending time with his family and being a handyman.